It was back in back in September that Amazon finally unveiled the Kindle Fire, its long awaited entry into the budget space. The full-color, multimedia slate hit the sweet spot, price-wise, sliding in at a hair under $200 and setting the tech world abuzz. The company made it clear, however, that it still had a horse in the standalone e-reader race -- three horses, in fact. That same event also saw the unveiling of the fourth-generation Kindle and the Kindle Touch, two new devices that take slightly different approaches to the post-keyboard world of e-readers. And, to play it safe, Amazon announced that it would be keeping the Kindle 3 around -- albeit, rebranded as the Kindle Keyboard. At $79 for the ad-supported version, the Kindle 4 carved out a whole new price point for e-readers. The Kindle Touch meanwhile, marked a belated entrance into touchscreen e-ink devices -- a market that had already been populated by several high-profile competitors: Barnes & Noble's Nook, Kobo and Sony. Why did Amazon hold off so long? According to the company, it was "waiting to get touch right." Without spoiling this review too much, there are indeed some features of this new device that suggest the wait could was worth it. But are these elements enough to dethrone the Nook Simple Touch as the best devoted e-reader out there, especially given that the Nook, too, recently got a refresh of its own? 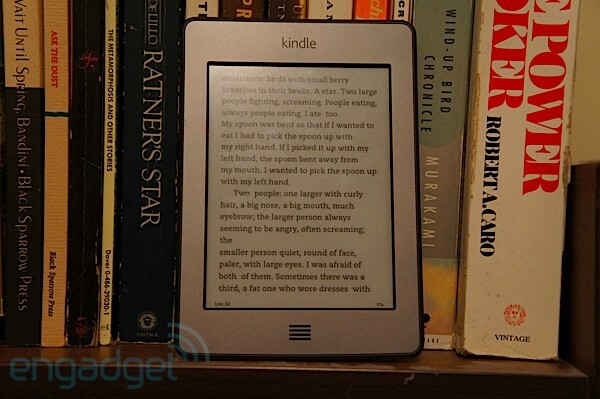 Does Amazon still have what it takes to remain the clear market reader in e-books? And is the $20 premium worth the step up from the fantastically affordable fourth-gen Kindle? The answer to all of this and more can be found after the break. Amazon Kindle Touch review originally appeared on Engadget on Mon, 14 Nov 2011 00:00:00 EDT. Please see our terms for use of feeds.